It's easy to assume that an artist will keep developing each time out, but Mikal Cronin shows that he doesn't take his evolution for granted on MCIII. It's easy to take for granted that an artist will keep developing and making advancements each time out, as if one's discography is in line with the progressive theory of history. While Mikal Cronin's career definitely seems to continue on its upward trajectory with MCIII, his new album also gets across the point that he doesn't assume that taking the next step is just the natural course of things, but rather part of a process that's hard earned and never a given. That's the sense you get when you hear MCIII open with a crescendo of strings, fuzzy guitar, and galloping piano on "Turn Around", as Cronin uses everything at his disposal to bring his pop intuition into full fruition on his latest effort: The most fleshed-out piece of power-pop he's come up with to date, "Turn Around" isn't only a testament to Cronin's knack for conjuring up an earworming tune, but also to his constantly evolving craftsmanship, as he layers so many elements in a way that allows the kernel of a melody he starts with to flourish rather than get buried. Indeed, where Cronin's sound stands on MCIII is the product of both nature and nurture, as he's honed, deepened, and expanded the garage-rock approach that he started out with to arrive at the often lush power-pop of his most current work. While 2013's MCII may have been more of a revelation, as Cronin showed a sweet tooth for Big Star-like guitar-pop that confounded his reputation as Ty Segall's sideman in the recent noise-rock revival, MCIII builds on and consolidates those earlier gains, adding heft and greater richness to the framework of his songs. So even if it's less of a surprise than the previous outing, MCIII is a more ambitious and complex work from a compositional standpoint, as Cronin combines a side one chock full of singles-worthy tunes with an autobiographical mini-concept album on the flipside. For starters, MCIII's first half feels like a could-be hit parade of A-sides, a set of indie-rock chestnuts that run the gamut of tones and styles with which Cronin has an increasingly deft hand. On "Made My Mind Up", Cronin infuses his instinctive, rough-hewn melodies with a touch of twang, finding the sweet spot where garage-pop and country-rock meet not unlike the way mid-career Teenage Fanclub did as it moved out of Big Star's shadow. "Say" takes Cronin's mastery of quiet-loud dynamics to new dimensions, as he works from a familiar foundation of grunged-up psych-pop guitar heroics and embellishes it with horns, providing texture and depth to expand the soundscape's sense of space. More telling, though, might be the softer acoustic-guitar-and strings moment of "I've Been Loved", where Cronin is able to strike a happy medium between introspection and an opened-up sound. There, Cronin reaches out when his echoing, shimmery guitar playing is shaded by dramatic cello strokes, which makes his self-reflective lines feel more accessible and revealing ("I've been loved / I've been lost / I've been locked inside my mind"). An example of how far Cronin's basic gifts as a songwriter can be stretched, "I've Been Loved" spans a wide range of complex feelings with a deceptively simple arrangement. With the first section of MCIII humming along as well as it does, the concept mini-album that makes up its second half might appear like a puzzling decision that could overdo it. Yet it doesn't break MCIII's flow or momentum: Even though there's a clear separation marked by a melancholy, almost symphonic flourish of minor-key piano chords, strings, and horns on "Alone", the section coheres with what comes before it while being its own distinct piece. There's a sense of continuity between the album's two halves, since the song suite constitutes something of a musical memoir of where Cronin's been and where he's going, like when loud, waves of feedback-y guitar make their way next to the painstakingly composed chamber-pop passages that "Alone" starts with. It's as if Cronin is letting his music tell his biography as an artist who's always pushing himself to try new things when the raucous grunge-pop thrash that kicks off "Gold" makes room for the banjo-like Greek stringed instrument the tzouras. Likewise, the transition from the driving, ramshackle "Ready" to the almost melodramatic "Different", with its weepy strings, reveals varied aspects of a musical profile that has become more multi-faceted over time. So even without knowing the finer points of Cronin's life story, the last half of MCIII feels autobiographical in that it touches on and runs with the different vernaculars that have shaped his musical identity. As roaring guitar effects find themselves along side tender string parts, and garage signifiers bump up against orchestral-pop excursions, the second section of MCIII is a microcosm of who Cronin is as an artist. 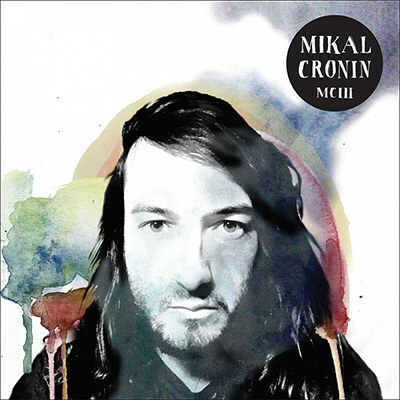 MCIII goes to show that Mikal Cronin is someone who follows instincts worth following, but who is also wise enough to know that what's in your imagination can always become bigger and better the more you work at it.